WASHINGTON, March 12 (Yonhap) — The United States is cautiously optimistic thatSouth Korea will decide to join the Trans-Pacific Partnership (TPP) negotiations, as it is a “natural candidate” for the ongoing talks, according to a top American trade official. “Given the high standards in our KORUS agreement, we believe (South) Korea would be a natural candidate for participation in TPP,” Deputy U.S. Trade Representative Demetrios Marantis said in a written interview Tuesday with Yonhap News Agency. He was referring to a free trade agreement (FTA) between the two nations, which went into effect a year ago. The landmark pact is called KORUS FTA. Marantis, however, stressed that it’s entirely Seoul’s call to make a decision. Seoul has taken a wait-and-see approach toward the TPP, which is another big trade deal and comes on the heels of tumultuous ratification procedures for the KORUS FTA. “With regard to the potential for additional entrants into the TPP, it is up to each country to determine its interest in joining and readiness to pursue a high-standard agreement and address outstanding concerns,” said Marantis. 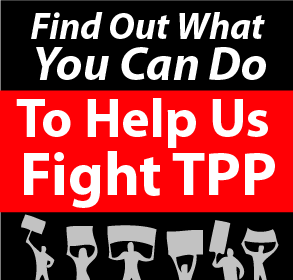 The TPP talks are a top trade agenda of the Obama administration in 2013. It aims to complete the negotiations by the end of this year. Currently, 10 nations — Australia, Peru, Malaysia, Vietnam, New Zealand,Chile, Singapore, Canada, Mexico and Brunei Darussalam – have joined. “We will work with our Asian partners on TPP, in various regional forums, and bilaterally to achieve market-opening, rules-based outcomes that benefit our individual economies, the region and the global trading system,” the official said with regard to Washington’s priority in the trade field. In a move expected to give a boost to the initiative, Japan also plans to announce a decision later this week to take part in the talks, according to local news reports. It is unclear if Tokyo’s move will affect Seoul’s consideration. The U.S., spearheading the TPP talks, is confident that the multilateral deal, if forged, will bring benefits to all participating nations. On the implementation of the KORUS FTA, which marks the first anniversary this week, he emphasized that it was a “win-win” agreement. He dismissed criticism at home that the U.S. has suffered from the pact. “The data from 2012 actually tell a good story for the United States,” he said, citing exports of manufactured goods to South Korea increased slightly. Still, he acknowledged that something can be done for small and medium-sized U.S. firms to gain more benefits. His office requested the International Trade Commission submit a detailed report on the KORUS FTA’s impact on smaller firms by May. Marantis left the door open for future consultations with South Korea aimed at opening the country’s beef market wider. South Korea currently imports U.S. beef produced from cattle only under 30 months of age due to an earlier scare over mad cow disease. Beef trade with the U.S. is politically and emotionally charged in South Korea. A 2008 decision by the outgoing Lee Myung-bak government to resume imports of American beef sparked months of massive street protests.